Brand Name : EXW or OEM case. Unit price : 1.5~5.0 USD/pcs. Delivery Time : 3~4 weeks, urgent order: within 2 weeks. Certificate : ISO9001:2001 / ISO14001 / OHSAS18001 / UL / RoHS / REACH. Conductor : Cat6A S/FTP stranded, 26AWG, 7*0.16, bare copper. Insulation : Polyethylene with color marking on white cores. Cable Color : Grey, others colors from RAL and Pantone are available. 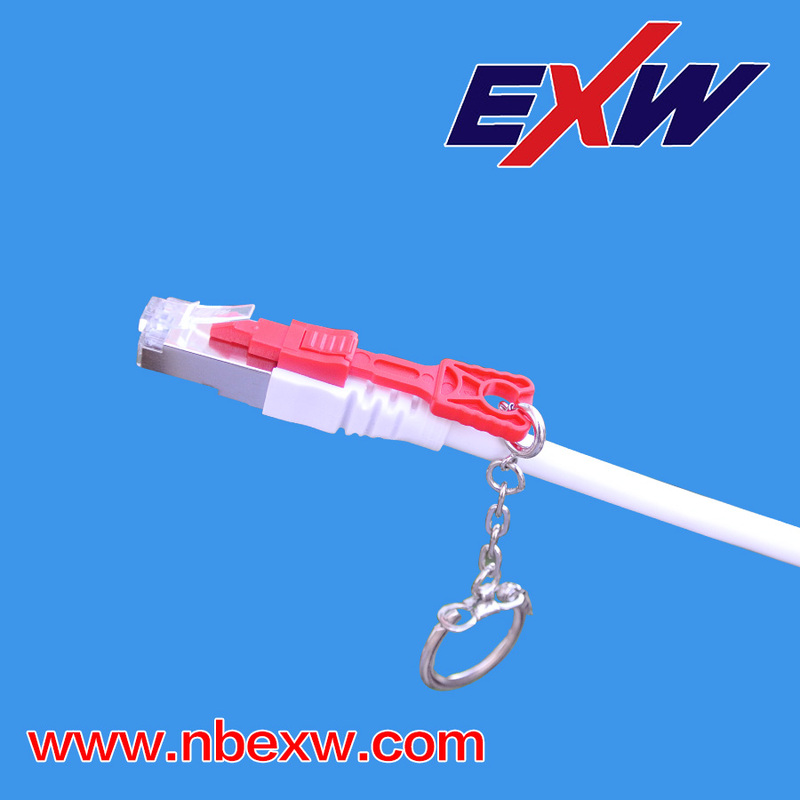 Cable to Plug Tensile strength; 9kgsf (90n) Min. Plug housing; UL 94-V0, UL94-V2, Polycarbonate. Plug contact material; 50u gold plating over 100u nickel plated copper alloy. Fire Performance; IEC332.1, IEC332.3 versions available depending on Jacket Type. Looking for ideal 10G C6A Security Patch Cord Manufacturer & supplier ? We have a wide selection at great prices to help you get creative. All the 10G Copper Security Patch Cord are quality guaranteed. We are China Origin Factory of 10G C6A Security Patch Lead. If you have any question, please feel free to contact us.